Q. What do you think is working in the WTCC at the moment? Alan Gow: Its geographical spread is very good, as a world championship should be. Given that it hits Asia, Europe, America, South America and Northern Africa, it's exactly what a world championship should be and it continues to expand its global reach. Q. What do you think could be better? AG: There isn't a championship in the world where things couldn't be better. You have to understand the constraints the WTCC is working under - there's a massive global recession going on and business is tough - it can't do some of thing things it would do if the economies were better and there was more manufacturer involvement. Q. What should the balance between manufacturer and privateer entries be? AG: Being a World Championship it is greatly dependent on manufacturers, more so than a national championship. There are many national series that have brands that are exclusive to those nations or regions - Vauxhall wouldn't work on a world stage for example. The privateers are being looked after, that's why there are so many of them. The number of cars on the grid hasn't changed much, but the make-up has. If there are fewer manufacturers then you have to provide an atmosphere for privateers to compete. Q. So is there anything the organisers can do to improve things? AG: All you can do is continue to provide the best environment you can to encourage privateers and manufacturers when they are ready. If the event is good enough and the rules are stable, the manufacturers will enter when they are able, and that goes for almost any form of motorsport. Q. 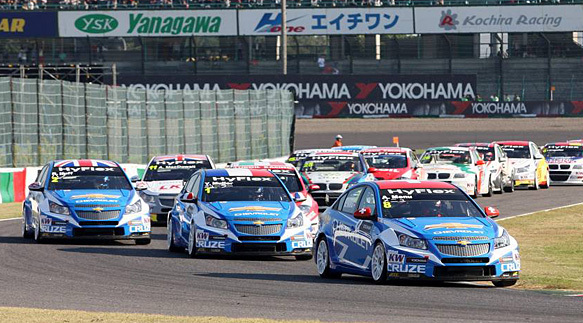 Why is it important for there to be a WTCC? AG: It's important because touring cars is one of the key categories in world motorsport. F1, rallying, touring cars and sportscars/GTs - there should be (and is) a world championship for each of them. Touring cars is one of the most popular forms of motorsport throughout the world, so it's entirely appropriate there should be a world championship. Q. 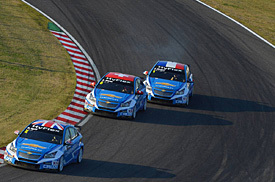 What is the future for the WTCC? AG: We are looking at new or revised regulations, likely to be from 2015. What shape those regs take is subject to discussion at the moment, with all manufacturers. Q. Do you see any NGTC future beyond the domestic level? AG: NGTC was only ever designed for Britain, and as a National formula....but if other countries wish to take it that's fine. Q. What role does the FIA generally, and you specifically, play in the regulations? AG: The technical department of the FIA sit down with the manufacturers and look at the regs. I don't get deeply involved in that aspect. 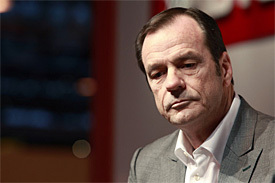 However the promoter, Eurosport, also obviously has to be involved, because the regulations have to work for them too. It's only when they have all finished their job that we put it into a regulatory format. My role with the FIA is a regulatory position, not as a promoter, so the Touring Car Commission, of which I am President, puts into place the sporting regs. The FIA makes sure the regs are correctly written and correctly adhered to. Does Massa deserve another crack in a Ferrari?